I was determined to finish – to not let the negative self-talk win again. I got better from it. My horse got better from it. Laine Ashker is a CCI4* event rider based in Chesterfield, Va. With her mother, Valerie, she is well-known for producing off-track Thoroughbreds to the top levels of the sport. Her career accomplishments include three finishes in the top 20 at the Land Rover Kentucky Three-Day Event as well as numerous other four-star completions. She also competes at the upper levels of dressage. Eventing is always what I’ve wanted to do and what made me the happiest. Even as a young kid growing up, riding a wooly pony around that we pulled from a field, I knew eventing was my calling. I’d gone to the Olympic Games in 1996 in Atlanta. My mother was volunteering. Karen O’Connor signed a poster, which I promptly hung on my ceiling to stare at while I dreamed of all of the gold medals in my future. The first time I attended the “Event Formerly Known as Rolex”, I was 14. My mother and I had just moved to Virginia from the California, and Kentucky was still a long-format event. I had recently moved up to the Preliminary level, and let me tell you, I thought I was hot you-know-what. So it was a given that I’d make what was then known as Rolex my big goal. I was working my way up through the levels with Eight Saint James Place, an off-track Thoroughbred whom my mother lent me as my first Young Rider mount. I have a lifelong tendency to learn lessons the hard way. As a kid, I didn’t have the experience that my mentors and many of my peers did. I was competitive, sure, and maybe a bit talented. But what I was lacking was the mental fortitude that comes in clutch when trouble comes to call. And it was that missing piece which taught me a lesson when I drove through the gates of Kentucky Horse Park several years later, at age 21, this time with a horse in tow. Coming to Kentucky as a competitor is incredibly different. That first time, in 2005 when Kentucky was in its last year as a long-format CCI, I felt like I was about to be somebody. Suddenly, people were asking for my autograph because I was a rider. I thought I was hot. I wish I could reach out now and slap myself back to reality. What I was lacking was the mental fortitude that comes in clutch when trouble comes to call. After a barely-qualifying dressage score (which I was stoked about), it was onto cross country. I remember there was a big box jump, set downhill, followed by a bending three-stride line to two angled and massively tall tree stumps. Everyone was having run-outs there, so I rode backwards and made Jamie add a fourth stride, which wasn’t like me to do, especially on him. Then I galloped down to the footbridge, which was a lot bigger than it is today. It was set on a long, downhill approach and I just remember not seeing a distance and pulling. I kept pulling to the point where poor Jamie thought he was supposed to bounce the footbridge, which he valiantly did. I wasn’t expecting him to bounce it – truthfully, I’m not sure what I was expecting – and I was pitched off to the side. Back then you were still allowed to get back on and continue after a fall, so I swung my leg back over and got back on my way. Jamie was thankfully uninjured, and we ended up finishing, but I found out later that I’d broken the C6 and C7 vertebrae in my neck and subsequently withdrew. My first Rolex would go on record as a withdrawal. It was far from the weekend I’d imagined. Rather than a four-star win at 21 (or at least the coveted USET Markham Trophy for top-placed young rider), I had a crushed ego and a broken neck. Thankfully, I had a sound horse who was ready to keep giving and the determination to get up and try again. The next year, I once again drove through the gates of Kentucky Horse Park with the same horse in tow. This time, I didn’t feel like hot you-know-what. This time, I was determined to get it right. And we did. 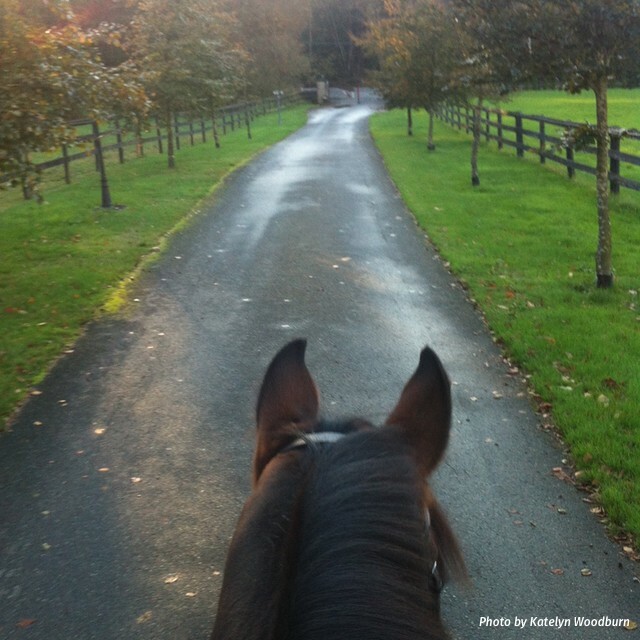 We had an improved dressage score and the cross country ride of my life. On Sunday, we’d come the farthest we ever had as a pair, and we entered the stadium ready to tackle show jumping. We were both tired, and we were both nervous. My mother used to tell me that I got a couple of minutes after a poor ride to feel upset before I had to move on. After this round, she told me I could have ten minutes. But in hindsight? It was a shining moment in my career. I had completed my first Kentucky. My first four-star. On a horse I had helped produce from the start, with my mother’s help. As competitive as I am, and as raw as my emotions were, I knew that this was a big moment for me. Several years later, in 2015, I returned to Kentucky, this time with Anthony Patch. 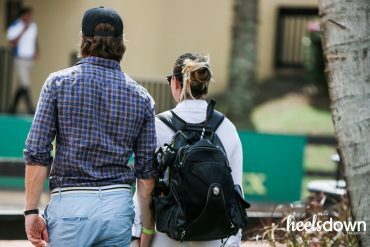 I found myself in second place following a personal best dressage score, and was invited to my very first Rolex press conference with none other than Michael Jung himself. I was on a high. The next day, Al and I had a miscommunication at the coffin early on course. As we galloped up the hill after the mishap, my heart sunk. I could feel it starting – the self-loathing. I contemplated just pulling up, as the conditions were pretty awful and we’d now taken ourselves out of contention. But this is where all of those failures, those lows, and all of the heartbreak that got us to this point kicked in. I was determined. I was determined to finish – to not let the negative self-talk win again. I got better from it. My horse got better from it. If You Enjoy This Story, Don’t Miss:Win Or Lose, Who Is In Your Corner? The next year? We came, we saw, we conquered. Fittingly, in Al’s final four-star in a storied career, we stormed around that cross country course in equally terrible – if not worse – conditions without so much as a blip. We did it, and I firmly believe that we did it that day in large part due to the mental strength that had taken root after a disappointing finish the year before. It’s still difficult for me to rebound after a tough ride. I put a lot of pressure on myself, and I think that has been a cause of some of my failures – my horses could feel that pressure. But I am steadily getting better. Now, I can continue on to my next rides with a clear head rather than letting my negative self-talk prevail. The thing about me is that I am, at the end of the day, a competitor. I love to witness greatness, and this is one way in which I strive to emulate it.